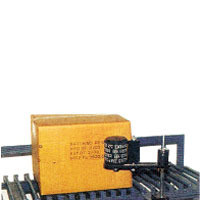 Manufacturing various types of contact coders, fast dry batch-printing inks, table top batch printers, marking inks, blister & strip-pack inks, inking rollers & cartridges, on/off line stamping machines, handy & auto coders, hot ink roller, stacking batch printers, manual unimark coders and more. . . .